Many people take it for granted that it's simple and fast to transfer data from one computer system to another. Thanks to EDI, it is. With the click of a button, you can share a spreadsheet with your business partner down the hall or across the globe. Baby Boomers remember the bad old days, while younger generations assume things have always been this easy. This guide will cover how EDI technologies have evolved, and how legacy systems pose data challenges. It also explores why firms have modernized data integration strategies, and what benefits they've received from embracing new data integration methodologies. Before the age of computers, exchanging information was a laborious task. The only thing that was available was hard copies. If you wanted to send or receive a document, your options were limited. You could either pick up the papers in person or wait for a package in the mail. Even as technology advanced, exchanging data could still be a cumbersome process. While there was no longer a need to pick up papers in person or wait for the mail, fax machines still produced a paper copy. EDI came into being in the 1970s. At that point, there were no standards for data formats. When a company decided to establish an electronic exchange of information with another firm, the two businesses entered into a bilateral agreement as to which format they would use. If you wanted to send or receive a document before EDI, your options were limited. Over the next decade, it became clear that standard data formats were a necessity. The first EDI standards came into play in the 1980s. Since then, a number of standards have come into use, such as UN/EDIFACT and ANSI ASC X12. Now, Internet protocols such as AS2 and FTP have become popular. As time wore on, EDI became a time-saver for many companies. That being said, it still wasn't perfect. Data integration solutions required purchasing hardware and software. In addition, businesses needed to train an employee to establish and maintain connections. Moreover, the IT department had to spend time integrating documents into existing software systems, and then someone had to monitor the operation and handle any glitches that occurred. Service providers tried to make the process a little less cumbersome for some by converting documents into web pages. So, your customer might create an order form, which his service provider would transfer into a web page, and you would then enter into your system. You could generate an invoice through the web page, which saved time, but the whole process wasn't entirely digital. Today, hybrid cloud software almost entirely eliminates manual data entry, and the costs can be lower because you're not investing in equipment. Another benefit is that service providers can develop integrations so that data flows in and out of your system easily and quickly, largely eliminating worry about maintaining the connection or unsupported protocols. There are certain advantages to legacy integration software and hardware. For a start, they're reliable. Furthermore, they store a great deal of business data. There's a problem, though. Legacy systems might be repositories for information, but they don't "talk" to newer software and applications. As a result, all of that valuable data is locked away and does organizations little or no good. One of the challenges of legacy integration systems is that accessing the data within and integrating it with other data sources is hard for IT departments (again, because legacy systems don't interact with more modern technology). In addition, members of the IT department might not have the expertise or knowledge to retrieve the information. And all companies are expected to do more with less, so there might not be enough IT staff to handle the issues inherent with legacy systems. An additional hurdle is data heterogeneity. Legacy systems often utilize more than one format, whereas newer databases are relational in nature. Data integration necessitates homogenizing information, which can be quite painstaking. Legacy systems might be reliable, but the challenges they pose may make them more trouble than they're worth. Bad data poses another stumbling block. No one knows the quality of the information stored in legacy integration systems. By nature they tend to have many users who enter data frequently. Many times during the integration process, IT team members learn that there are significant data quality problems. Moreover, the legacy integration system might not realize when data has been modified because it doesn't create a time and date stamp. As a result, IT personnel can't be sure whether the information is new or old, and they're forced to call its integrity into question. Let's not forget about the existence of data silos. There's most likely more than one legacy integration system storing information at an organization. Imagine having to face all of the aforementioned issues several times because there's more than one system to integrate. Why Do Firms Modernize Data Integration Solutions? While it might simply be easier to keep a legacy system and forget about enhanced integration, in the long run, that's not a great approach. There are a number of reasons why companies choose to modernize data integration strategies. For a start, legacy systems tend to solve large business problems. Take CRMs, for example. Legacy versions of this software tackled several issues related to customer relationship management at once. But what if you only really wanted to focus on a single topic, or a few related problems that really didn't necessitate such a large system? You were out of luck. As reliable as legacy systems might be, they become increasingly expensive to maintain as they age. Vendors charge more and more to support them, and the newest crop of IT professionals won't have the knowledge necessary to manage them. In addition, the infrastructure for legacy systems becomes less and less affordable over time. Such systems need an older technical environment to function properly, or at all. This infrastructure includes operating systems, databases, libraries, and hardware, which vendors will charge a premium to support. Generally, legacy systems are proprietary in nature. They're built around single-vendor tools (including programming language, methodologies, and management mechanisms). Again, IT personnel don't have the expertise to support such systems. Even if you have that one employee that is a veritable fount of knowledge about your legacy systems, he or she will not work for the business forever. At some point, that employee will leave the company, and take that specialized information with him or her. There has to be some kind of strategy in place to deal with this situation when it inevitably arises. Legacy systems were also not built with mobile devices in mind. Today's business application users expect to be able to work wherever, whenever, and on whichever device they like (which is frequently a smartphone or tablet, not a desktop computer). Even if virtual desktop infrastructure can bring a particular application to a mobile device, the application wasn't designed for use on anything but a desktop computer, with its large screen, external keyboard, and mouse. The most important question to ask is, "Does this system bolster our strategic growth?" Invariably, and sadly, the answer is most likely "no." Firms that invested in legacy systems usually only invested enough in them to keep them operating and only spent money on enhancements when absolutely necessary. These organizations are left with systems that can't keep up with the speed of business today and that won't allow them to remain competitive. That means that you don't have the ability to scale quickly because you're locked into legacy integration systems. Think about the new opportunities you're missing. You could be reaching more customers through innovation, but you can't do that because your legacy system doesn't give you the room to grow. In a sense, businesses become prisoners of their legacy systems. It can be so challenging to integrate the data within them. Furthermore, maintaining them is an undesirable expense and commitment. The end result is that organizations can't introduce new products, expand into new markets, or broaden their services because their systems simply can't support those activities. When firms implement modern data integration solutions, they reap the benefits. The section below outlines just what those benefits are. The first benefit that will be immediately apparent is time savings from operational efficiencies. Your IT department spends valuable time processing transactions (or providing support to those who do). What if those team members had the time to work on innovative products or services that would boost the company's bottom line? B2B integration enables them to do that; automated processes free up IT resources. Secondly, data integration solutions save firms money. B2B integrations that rely upon SaaS don't require the purchase of expensive equipment from a single vendor because it's based in the cloud. In addition to freeing up IT resources, there won't be any more costly outlays for legacy equipment (which, as you saw from the paragraphs above, require investments of money and human resources). Moreover, you no longer need to invest in the costly infrastructure that accompanies legacy systems, because the cloud doesn't require it. An investment doesn't just mean you purchase it; it means you maintain the infrastructure and employ people who understand how to use it. The cloud eliminates that need and cost. On the topic of saving money, companies no longer have to purchase solutions that are only capable of handling big business problems. You might not need to cover every eventuality. What the situation really demands is an application that's designed to address a single issue. Service buses and APIs enable the integration of such smaller applications (which are less expensive and integrate faster than a larger solution). Another benefit is that modern B2B integrations have much shorter rollout periods. Gone are the days in which it would take a minimum of six months to get a solution up and running. Cloud technologies have drastically reduced those time periods so that firms can begin seeing the value of implementations within weeks. 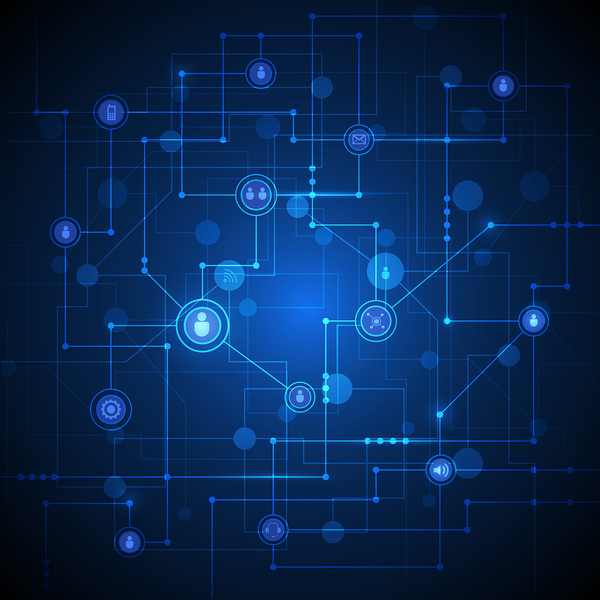 An added benefit of today's data integration solutions is that you're not locked into a particular vendor (as you would be with legacy systems). Now, there are common tools and programming languages. Moreover, newer members of your IT team will have the skills and knowledge to utilize these tools and languages because they received that training. B2B integrations save companies time and money. That also means that systems can talk to one another. Data can flow freely between systems, meaning that your employees, your supply chain partners, and your customers can all get the information they need quickly. There are no long waiting periods that interrupt business. B2B integrations knock down data silos, too. These locked information repositories prevent collaboration, productivity, efficiency, and generally impede the flow of business. 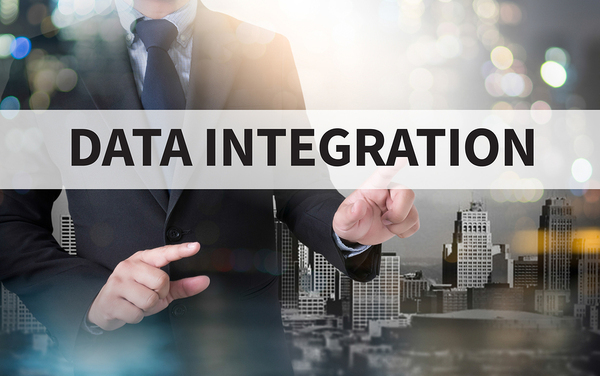 Data integration solutions allow applications to interact with one another, so everyone can get the information they need when they need it. Additionally, the information within modern systems is more reliable because it receives a time and date stamp. Gone are the days when you had to wonder whether data was accurate because you don't know when it was entered or modified. Now, you can see precisely what time and day someone entered or modified information. Furthermore, your employees want to be able to work on their mobile devices. B2B integrations support that capability. As a result, your employees are more satisfied, engaged, productive, and efficient, all of which leads to a higher bottom line. B2B integration also supports growth more readily than legacy systems. Do you need to scale quickly in order to seize business opportunities? The cloud lets you do that affordably and quickly. Modern data integration techniques have brought the enterprise a long way from the earliest days of exchanging information. Thanks to these methods, exchanging data can take place in the blink of an eye. If you'd like to learn more about how companies benefit from B2B integration, see some of our recent success stories.